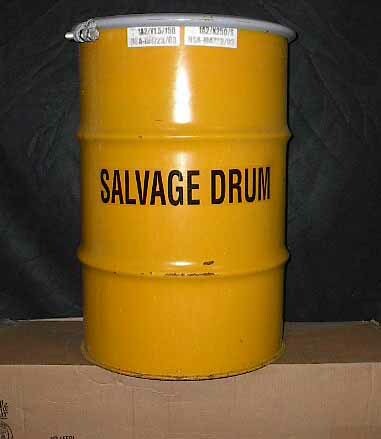 Steel 30 Gallon Open Head, Salvage, Plain Cover, Plain Body, Yellow, Unlined, UN 1A2/Y1.5/150/X250/S, Wt. 35 Lbs. Interior Dimensions: 18.25″ I.D. X 28″ I.H. 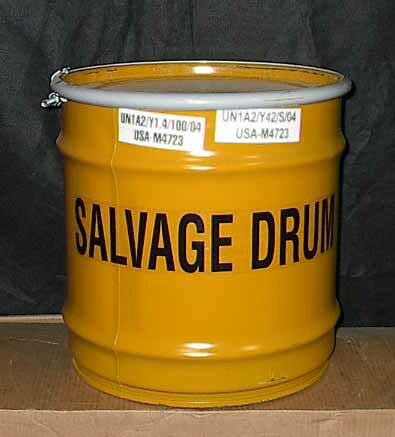 UN 1A2/Y1.5/150/X250/S standards, this is the best bang for your buck for salvage drums on the market. 18.25″ I.D. X 28″ I.H.